It doesn’t matter what you like or want. It also doesn’t matter what I, as your designer, like or want. If my job is not to be passionate about your business, it’s also not to just do whatever I want or like. My job is to do right by your business. That means coming up with the idea that works best for it. Or, if you already have an idea when you come to me, to tell you whether it’s a crap idea or not. You may go to another designer and say “This is what I want” and they churn it out for you. And it may be what you wanted, and you may like it. And likely it’s absolutely useless for your business. Or you may go to another designer and say “Do whatever you want” and they do, and it might be aesthetically cool but likely has nothing to tie it to your business. It’s not about us, you see. It’s about your business, and the customers your business is for. That’s who all design, branding, marketing, etc. should be focused on. 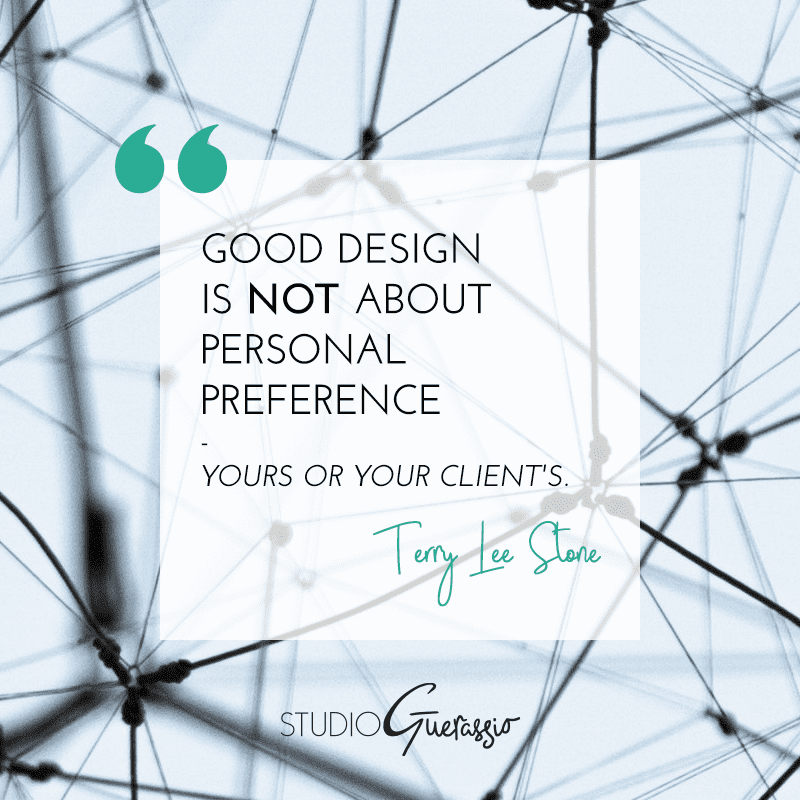 That is my guiding principle in designing for your business, not any personal preference on your part or mine. I design with the purpose of making it fit for your business exactly, and helping that business succeed. Do I hope you’ll still like the design? Absolutely. I like happy clients. Do I hope I’ll still like the final design? Again, definitely. But the real secret is this: when you focus on design that makes sense for the business, it’s hard for all parties not to be pleased. For business-centered design, do you agree that personal preference should be left out of it?